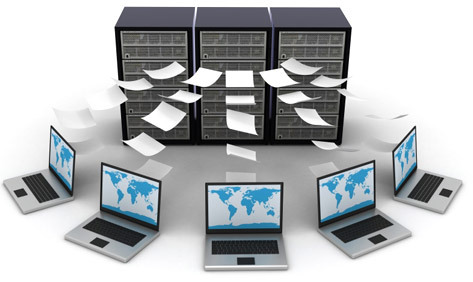 Gigasoft Data Protection Ltd provides its clients with a secure online data backup and disaster recovery solution. We ensure that when the inevitable happens, your data is safe, secure and readily available to you at the drop of a hat. We don’t just ‘let you get on with it’, we help you through the entire process from the setup to a complete monitored solution and we won’t be happy unless everything is working perfectly. Our products work with every operating system and from large networks with multiple sites and servers to a single PC or Mac. We can put your mind at rest, a top class service at an entry level price. A UK Data Centre and our ISO27001 accreditation mean that we are serious about keeping you in business. Backups are scheduled to run automatically, recovering data is a simple mouse click away. Your data is encrypted locally to military standards and transferred with the latest secure online data backup technology to move the whole process online making it fast and simple. This product is an enterprise level online backup and disaster recovery solution and is the flagship of the Gigasoft products. GigaBackup will give your business a very high level of disaster recovery and business continuity with the minimum of time and effort and at a very competitive price. However small or large your network is the solution is totally scalable to your specific requirements. This package comes with full 24/7 telephone support and with free installation by our qualified engineers. We understand the constraints of the yearly education budgets and realise that cost is always a predominant factor in any schools planning. We have therefore designed a secure online data backup solution specifically for the education sector incorporating a healthy discount structure enabling you to bring online an enterprise level disaster recovery solution with the minimum of cost and effort. The software is free, and comes with all the usual plug-ins at no extra cost, no buying of hardware or storage media required and as many copies of the software as you like, they all backup to the same data account. Take away the uncertainty of tape backups and upgrade your old tape or disc system to the latest online backup system. There are no extra hidden costs, as many backups and restores as you like! Accounts start at 25gb and expand as much as you want. This is the Gigasoft premium product offering the client the highest level of data protection and services; it comes with all the rock solid reliability of the GigaBackup account along with Gigasoft Gold support giving you complete peace of mind in the knowledge that your disaster recovery is all taken care of and releasing you to get on with what you do best, making profits for your company.